The axing of age-related allowances, amongst other pension-dwindling measures, is forcing an increasing number of British pensioners to consider a move to South Africa to protect their retirement funds, say industry insiders. David Matthews reports. The latest annual Natwest International Survey confirms that there has been a 14 per cent jump in British expats moving to South Africa in recent years – and this upward trend, according to personal finance experts, looks set to grow even more following last month’s budget. Disillusioned with their pensions being plundered by the UK Government, a growing number of Britons claim they are planning to join the 200,000 or so Brits who already live there; and a significant number will be taking their pensions with them as it is vastly more tax efficient. For many British retirees, and for those on the cusp of retirement, the recent Budget was seen as “the final straw”. Amongst other pension-eroding measures, the Chancellor, George Osborne, confirmed that he is scrapping the age-related allowance for the over 65s. With even fewer incentives to keep funds in the UK, there has been a “dramatic increase”, according to analysts, in enquiries from Britons who are now intending to enjoy their retirement in South Africa, with the Cape Town area being the most popular relocation spot. Craig Featherby, the Cape Town-based Regional Manager of the deVere Group, the world’s largest independent financial advisory firm, says: “Foreign pensions are not taxed in South Africa, meaning Britons who come to live here can receive a tax-free pension. Under South African legislation, for those who move to the country and transfer their funds into an HM Revenue and Customs-approved ‘Qualified Recognised Overseas Pension Scheme’ (QROPS) five years before they retire, the income is received tax-free. 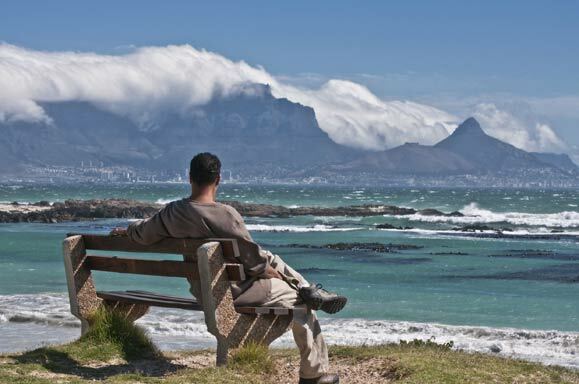 With its sophisticated urban centres; breathtaking natural landscapes including Table Mountain and Cape Point, the vine-covered slopes of Constantia, and some of the world’s finest beachside communities; plus its friendly, English-speaking, Afro-Euro vibe, the Cape Town area has long been a favoured destination for expats wanting a sun-filled retirement. “Since moving to Cape Town, and transferring our pensions, we’re able to afford a better standard of living than our friends and family back in the UK,” explains Andrew Kinsella, who moved to the leafy residential suburb of Bishopscourt with his wife six years ago. 56-year old interior designer, Sue Patterson, is part of the groundswell of people who are seeking advice on relocating themselves and their funds. “I love my home in Brighton, and I love having my friends and family close by, but I’m not prepared to have my retirement income continually dwindled away by the Government. “I am seriously considering a move to South Africa, where I have enjoyed countless, brilliant holidays over the years, in order to safeguard my money. I have worked too hard all these years and now I want a secure and enjoyable retirement. Is that too much to ask? As the effects of the Budget hit, it is widely expected that this trend, which is already being keenly felt, will continue. “The Budget was a ‘wake-up call’ for the millions of people who have worked hard all their lives to put money aside for their retirement. But an increasing number of them are wising-up to the overseas opportunities,” affirms Mr Featherby. In addition, in his Budget speech, the Chancellor, George Osborne, announced a series reforms to the Qualified Recognised Overseas Pensions Schemes (QROPS) sector.